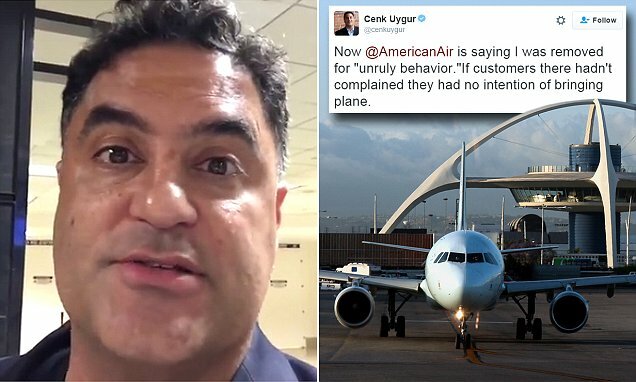 “The Young Turks” host Cenk Uygur was removed from a flight by American Airlines after he recorded the airline stranding passengers for hours. American Airlines kicked a well-known reporter off a flight after he complained about it being delayed while live streaming inside a terminal at Los Angeles International Airport Saturday. 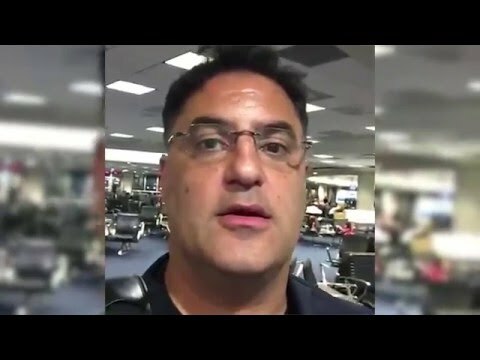 Cenk Uygur, who hosts the liberal-leaning Young Turks online news show, was told the “captain didn’t feel comfortable” with him getting on the flight. He was escorted away by a police officer, whom he said apologized to him for having to remove him. But it was only after he posted his initial video to YouTube where it went viral that he was informed by American Airlines that he had been removed from the flight for video recording. Turns out, American Airlines introduced a policy in December 2014 forbidding passengers from video recording its employees on planes and inside terminals, including ticket counters, which obviously includes an customer service interactions. The policy came in place after several instances on other airlines where passengers uploaded videos of interactions with rude employees, sparking national embarrassment for the airline. So American Airlines figured it would save itself that embarrassment by removing Uygur for recording during a four-hour delay for a flight from Los Angeles to Miami. But that plan may have just backfired on them as they did not appear to be aware of his online clout, which resulted in dozens of readers contacting the airline to complain about his removal. On Twitter the hashtag #Cenkonaplane was created to show support for the TYT star host. American Airlines does not appear to have any intention to even reimburse him for his ticket, which he said cost him about $1,000. Another man also was removed from the flight after he was accused of smoking marijuana, but Uygur said nobody saw him smoke pot. Meanwhile, the Transportation Security Administration has long allowed videography at security checkpoints, even though screeners many times like to pretend otherwise. Uygur ended up having to switch to JetBlue to make his flight to Florida, apparently flying into Fort Lauderdale because JetBlue does not fly into Miami International Airport, which was his original destination. According to Cenk Uygur it all started over him video taping a disturbance a another young man who they would not let board the plane. After he boarded, he says a supervisor and cops removed him because the captain didn’t feel comfortable with him on board. Never a quitter … Cenk was back at LAX Saturday morning to find another flight to Miami. 10:30 P.M. EST — A rep for American told TMZ they’ve made several attempts to reach Cenk for a new flight, but haven’t heard back. We’re told he was removed for “unruly behavior.” However, Cenk just tweeted he was able to get on a JetBlue flight back to Miami … and no delays!